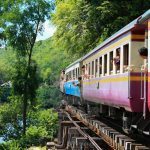 Asia Marvels’ journalist just realized that the series of guide to Thailand focuses almost on the most popular and dynamic places in Thai, which is quite well-known. This time, we will bring to you the totally different feeling with our experience in Pai, a peaceful and magnificent village. Pai is a very tiny and beautiful town located in the north of Chiang Mai and is 130km away from this city. If you love the old town in Chiang Mai, you will fall in love more deeply with the beauty of Pai. The best time to visit Pai is from October to April. You should keep an eye on Loy Krathong festival. Plane: There are flights which could take you straight to Pai. However, very few tourists choose this way. The reason is that Pai’s airport is very small and the ticket is quite expensive compares to travelling by other ways. Bus: It is very simple to catch a bus from Chiang Mai to Pai. You can buy the tickets from any tourism agency. The hotels you stay could also sell the tickets. The price is about 150 baht. 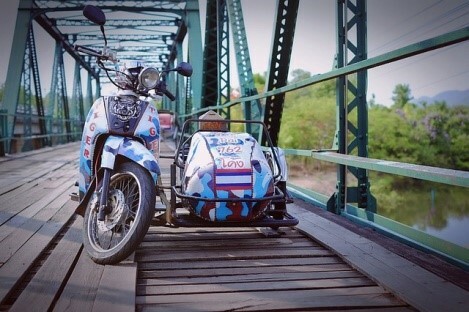 If you go from Bangkok or other places, you could also take one to Chiang Mai and another one to Pai. Motorbike: This is the most interesting way to go to Pai if you are an adventurous person. The price to rent a motorbike is from 110 to 160 baht. The most well-known provider in Chiang Mai is Aya service. Otherwise, you can refer to the advices of experienced people. The reason for the attraction of Pai is its wild beauty which has not yet been strongly exploited like many other destinations. Some suggestions below could melt your heart. There are two famous waterfalls in Pai, which are Pam Bok and Mo Paeng Pam Bok. Pam Bok is an amazing creature of the nature with the cool-fabulous stream of water “falls from the sky”. On the way to Pam Bok, remember to take a break in a farm which serves fresh fruit and wine. The good point is that they could bring as much as you want and you can also pay them as much as you can, this is definitely not a joke. In Mo Paeng, you can slide down to the lake with a giant boulder. All of these waterfalls are our exploration and they are not exploited by any tourism company. 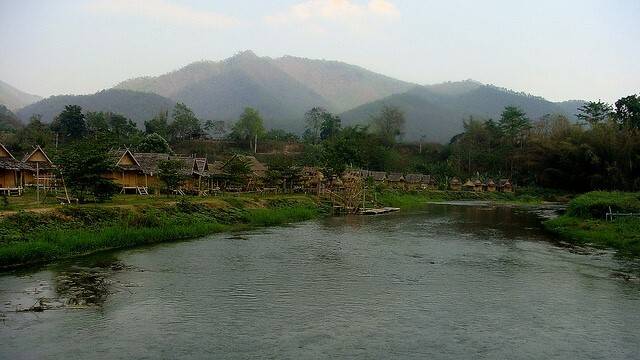 In Pai, there are also two hot springs. One is very famous named Tha Pai. You might have to pay up to 200 baht to get in. Another one is on the way to Mae Hong Son, which is about 15km away from Pai. However, the road to this hot spring is quite slippery. The price is much cheaper with just about 20 baht/person. This hot spring is located in the middle of the forest with cool, clear water and very empty. If you have heard about the famous Grand Canyon in the United States, the Pai Canyon is also similar, even though cannot be compared to the United States Canyon, Pai’s Canyon is still a unique point that you cannot Ignore. You don’t have to pay any fee to witness the magnificent beauty of this “wonder”. Canyon is the most beautiful in the sunset.